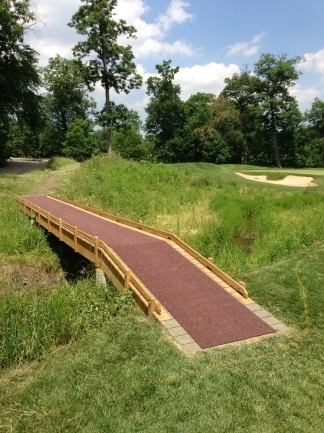 When the world's golf courses started banning metal spikes, operators were focused on improving putting surfaces and creating less wear and tear on wooden bridges and steps as well as carpets in clubhouses and locker-rooms. 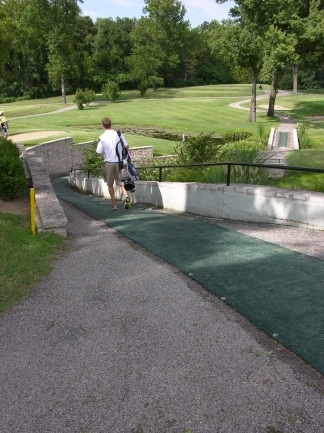 An unfortunate side effect of this transition was that more golfers started to slip and fall on slick wooden bridges and stairways. 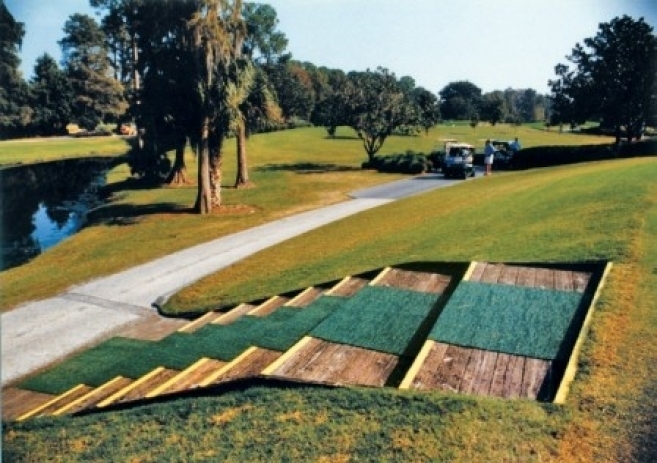 In 1997, PEM matting addressed this problem. 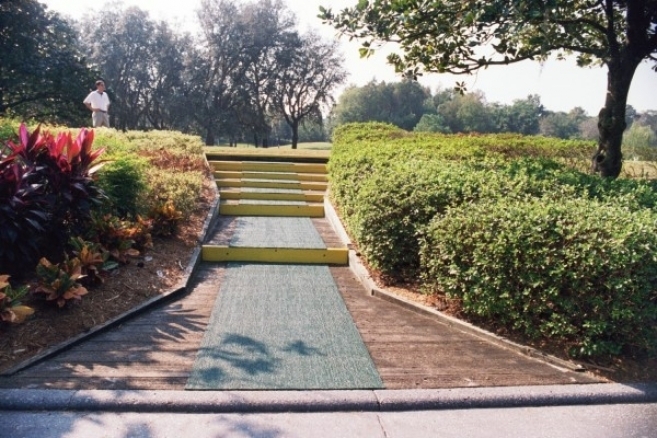 The vinyl loop mat design of our slip-resistant matting protects golfers against the risk of slips and falls, making golf courses safer and more enjoyable. 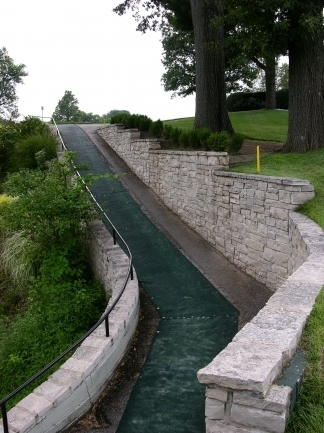 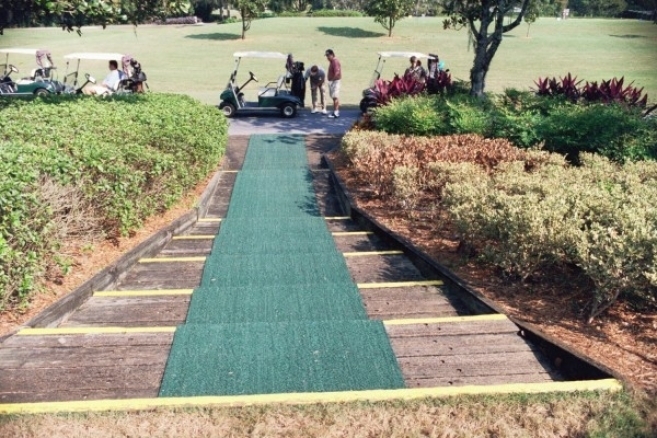 Since its inception, PEM vinyl loop matting has been installed on over 2,000 golf courses worldwide. 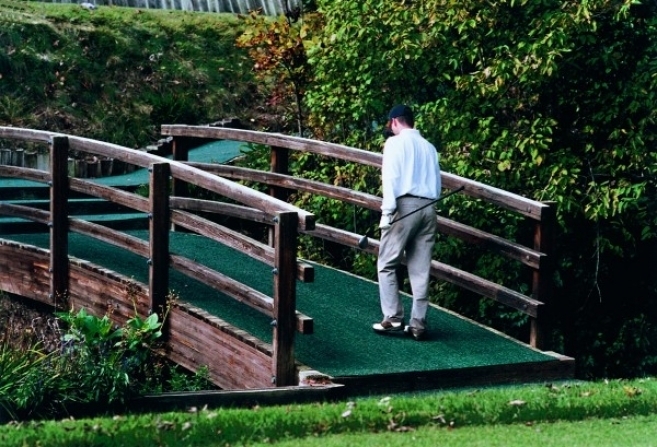 PEM’s unique vinyl loop mats are designed to grip under a player’s golf cleats to provide added slip-resistance, even when wet. 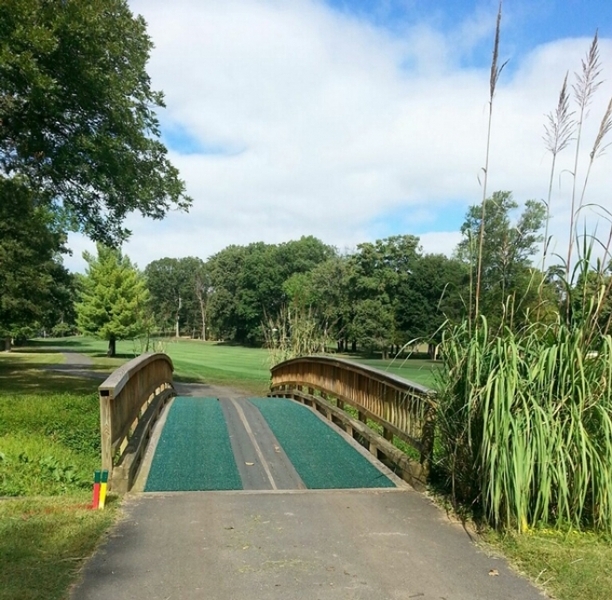 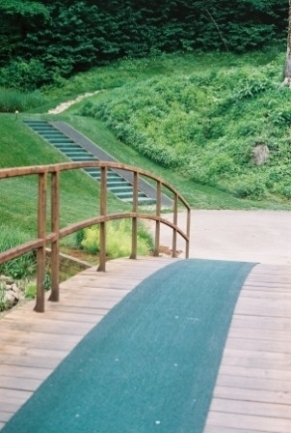 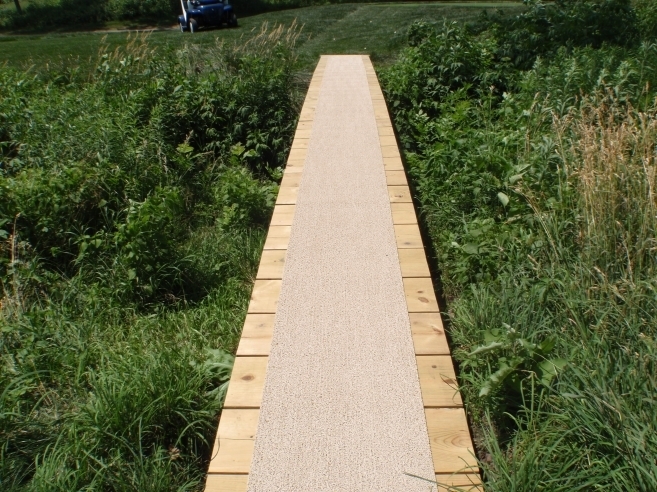 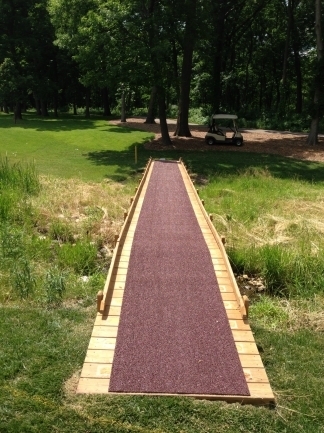 PEM High Traffic Matting is designed for outdoor walkways, bridges and steps on the course due to its enhanced durability, while our Lightweight Matting is an ideal wet area matting solution for locker rooms and clubhouses. 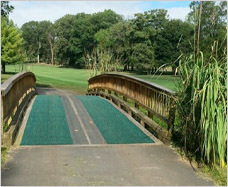 PEM High Traffic Matting is the primary matting product supplied to the golf industry. 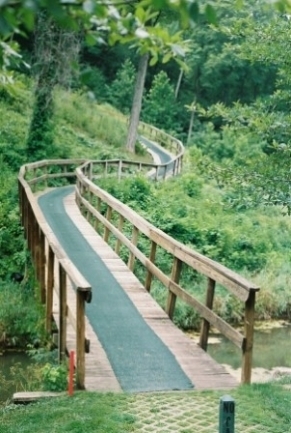 Some of it features are listed below. 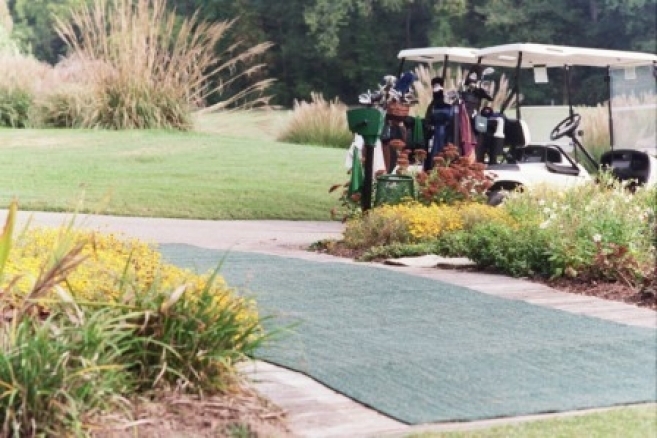 Designed specifically for outdoor applications on golf courses, PEM High Traffic Matting features a soft plastic construction and unique porous, vinyl loop mat design that reduces slippage even when wet. 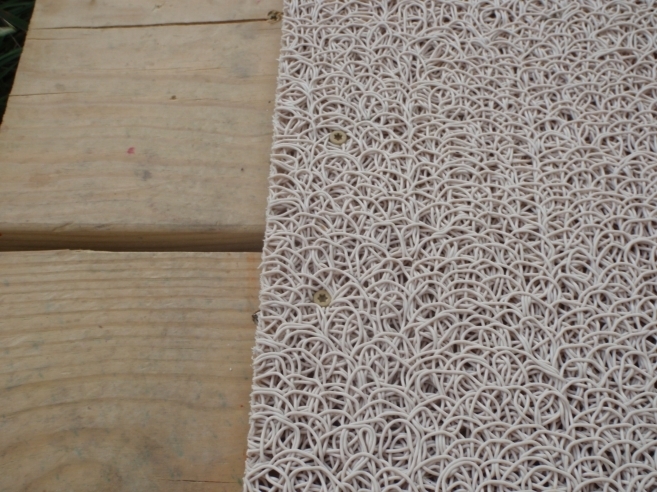 Antimicrobial formula further guards against the growth of mildew, fungi, and bacteria. 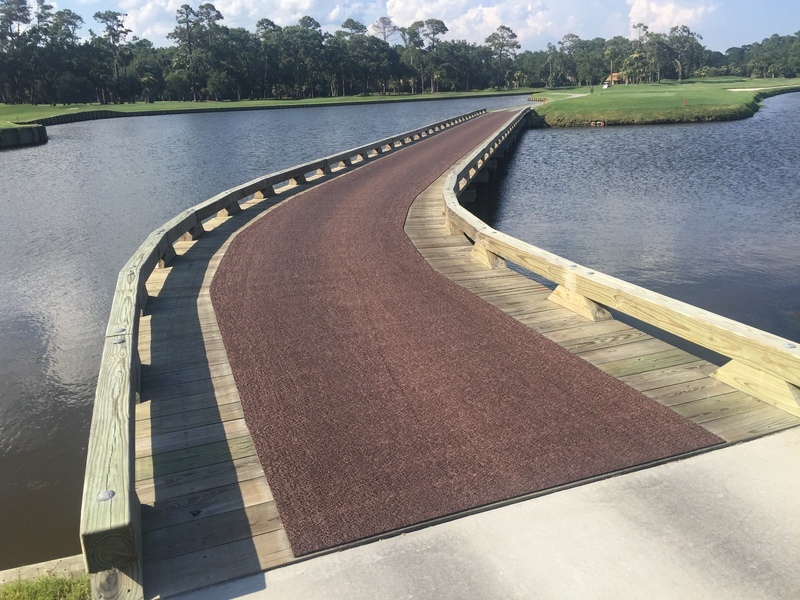 PEM Surface Creations understands that maintaining a beautiful and natural appearance is critical to many golf course operators. 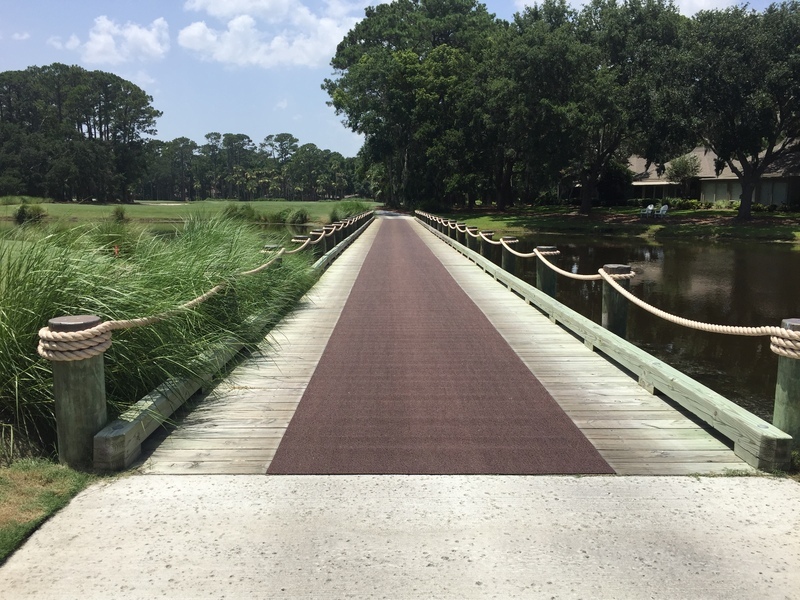 In addition to its inherent abilities to eliminate puddling and resist mold, mildew and algae growth, it is available an array of colors to match existing structures. 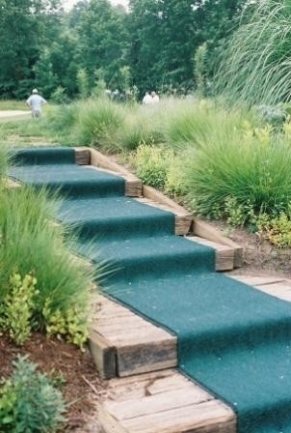 Designed for steps, bridges, paths and walkways, its unique vinyl loop mat design provides additional traction, even while wet. 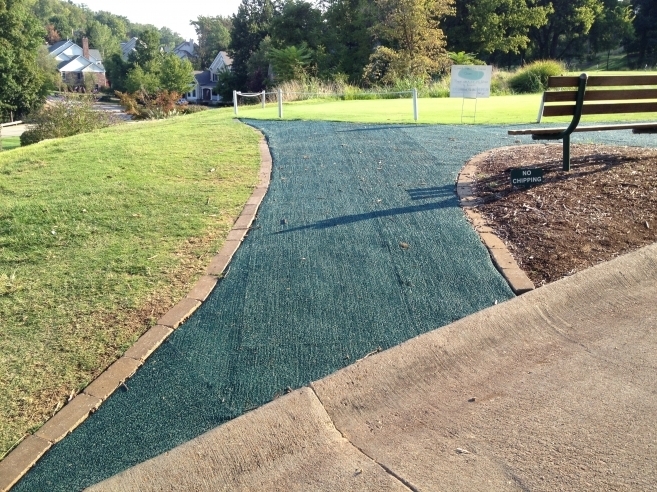 Exceptional durability allows it to stand up against golf carts and heavy foot traffic. 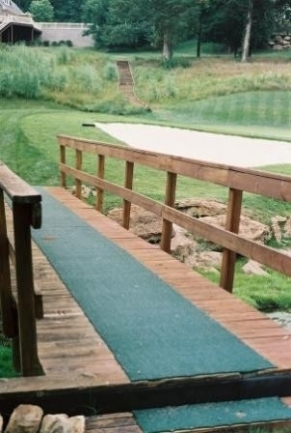 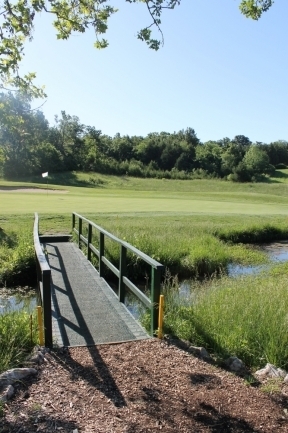 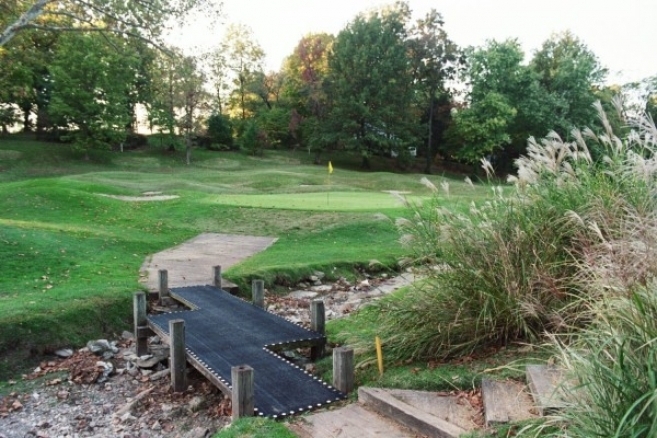 "Here at Valhalla, we have many bridges and I seemed to get a call every time it rained on someone slipping. 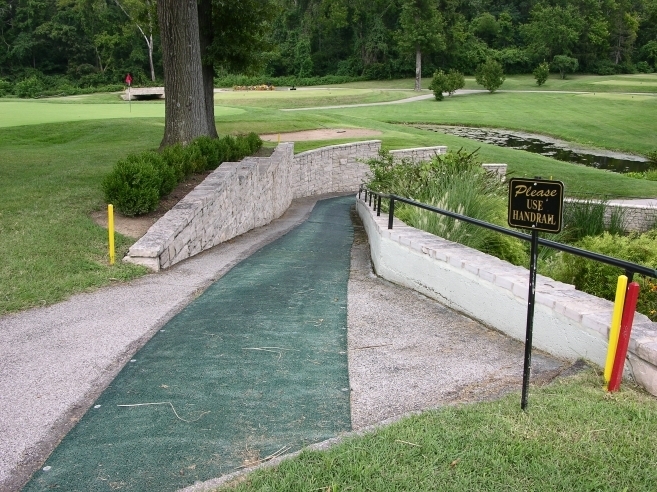 The P.E.M. 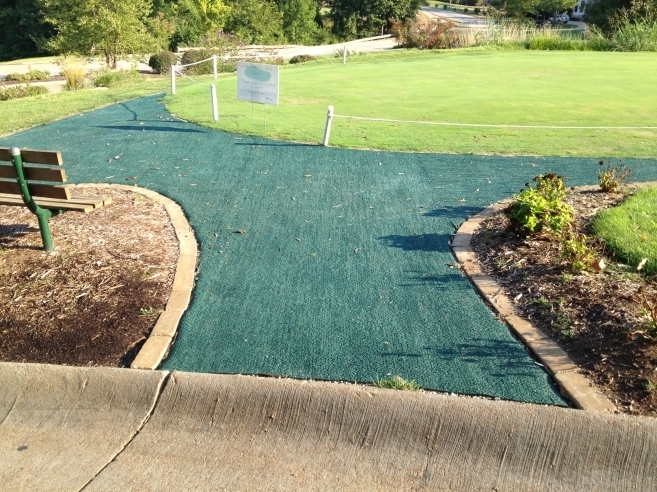 Golf Course Matting solved our problems and the best part is that it drains and helps in preserving the wood. 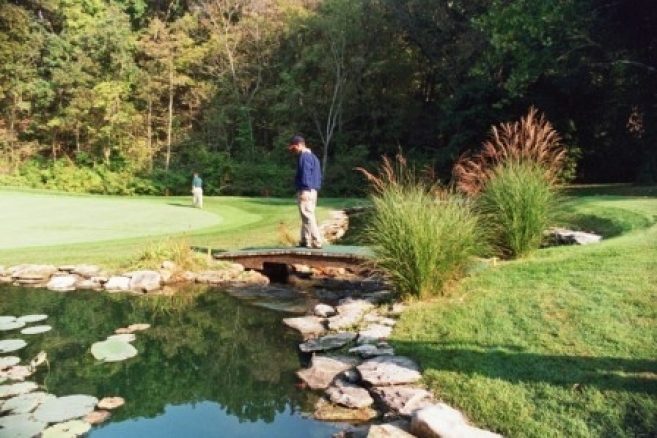 It’s helped our members as well as the best players in the world."